Hi, it’s Jon here! Future Foundations has had a number of homes over the last ten years since we were founded in December 2004. We are about to move offices for the first time in 6 years and it made me think about what makes a great office, or indeed a home! I have included some highlights from my time in our current office and would love to hear yours. Our first registered home and office was our founder’s parents house in Norfolk in 2004. When Jack moved to London, he took on a desk space in a shared office in London Bridge in ‘Surrey House’ where we worked alongside a Polish Translation Company and a Security Company, both managed by similarly ambitious, energetic and relatively young entrepreneurs. This was a lively base where Jon Harper first started to work for Future Foundations and it became a second home for both Jack and Jon as they established themselves in London. In early 2008, Jack and Jon chose to move the office to a co-living and working space in Clapham Junction which allowed the opportunity for Future Foundations whilst we explored where we would have our next office space. This short term move turned into about a year. The flat became known as the Ideas Penthouse and was the base where our first major contracts were secured including work with NESTA, Vodafone and DCSF (now DfE). Network members stayed in the flat and one of our first team employees moved into the flat too, Lydia Campbell. I have fond memories of the life and the energy created in this space which started a community around the company which I believe continues until this day. 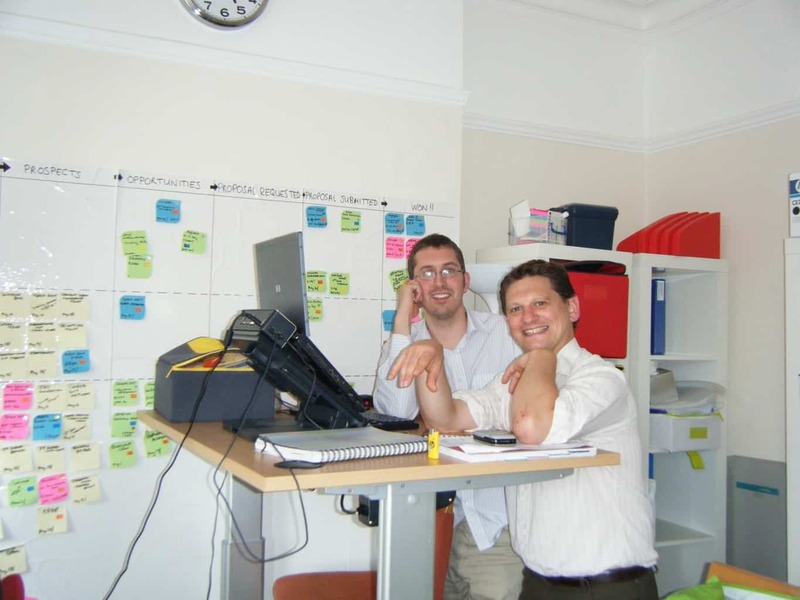 In 2009, we found an office space in Clapham Junction opposite the station. Justin Connor and I, viewed it and felt it was the space that would enable Future Foundations to grow. It was quirky and spread over two levels, but what was really unique was that it had a garden which we would be able to use. Some of my personal highlights from the Future Foundations Fun Factory are the Network evenings and events we held, the many BBQs. The rooms and spaces have changed over time as we have taken on different projects and people. Throughout time, the feel and focus of each room has remained with three distinct areas – the Garden Room, Middle Earth and the Engine Room. I have reflected on what I think makes a home, and I believe it’s a feeling, and some of the key characteristics are somewhere where you can be yourself, learn, grow, feel secure, make mistakes, celebrate successes. The Future Foundations Fun Factory has been all of those things for so many of our people over the last 6 years. I would like to invite our Network to share their highlights from the Future Foundations Fun Factory. Please post below this article to share yours and join me in remembering what a great home it has been for us all. 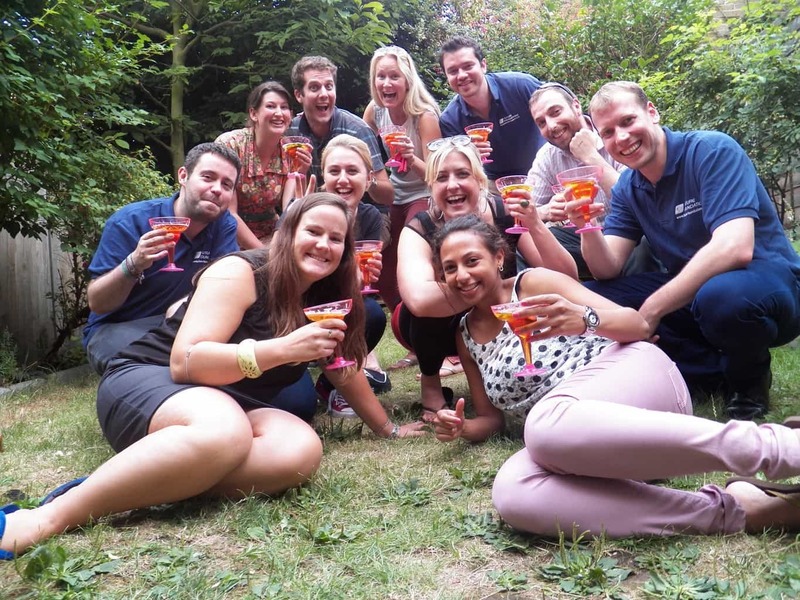 There will be a end of an era party at the office – watch out for event request coming out soon. Clapham junction garden: my first ever trust fall. A home is a place where you’re welcomed without having to prove yourself or be anything other than who you are, in that moment, with the people present. I first came to FF with my good friend Justin Connor. I was welcomed into the pre-Friday energy and post-it note chaos and was embraced as if I were a member of the team. In that moment I felt the presence of “home”. Future Foundations is a proud member of Our Future Group: a collection of forward-thinking organisations seeking to achieve positive change. Please get in touch to see how we could create a partnership together. Copyright Future Foundations Training Ltd.